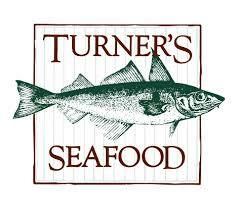 Turner's Seafood Grill & Market, Inc.
Turner’s Seafood is looking to hire enthusiastic, hard working individuals to join our team and commitment to providing our customers the very best seafood. Located at the front of restaurant, our retail fish market serves our customers by providing fresh fish and prepared seafood dishes as well as takeout orders from the restaurant. We train our team on the proper handling and knowledge of all these products as well as how to setup, breakdown and all associated duties that are performed on a daily basis. Qualified individuals must be able to pickup a minimum of 50 lbs., have a friendly and engaging personality, and work well in a fast paced, team oriented environment. This is a part time position with full time potential. Call (781) 662-0700 for details.